The best gift we can give our kids is to live our lives in such a way that they know who Jesus is and understand is incredible love for them. While many understand this task in theory, most of us struggle with practically applying this in everyday life. 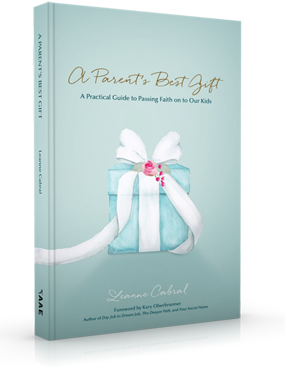 A Parent’s Best Gift reveals this process, equipping parents with tools and strategies that are simple, applicable and absolutely doable. Discover freedom, direction and intentionality as you begin to see this magnificent task broken down into manageable bite-size pieces. Leanne believes we all want to be the parents God has called us to be and cultivate a faith in our kids that takes root and grows. Journey with her as she candidly explores the obstacles that entangled her and the clarity that emerged by charting a course of faithfulness for her family. Uncover the significance of intentional living and find freedom with practical activities that are tried tested and true. Leanne has a passion for equipping parents as they navigate the awesome task of passing faith on to their children. She encourages parents to make their invisible faith visible and tangible so that they can intentionally point their kids to Jesus and build a legacy of enduing faith. 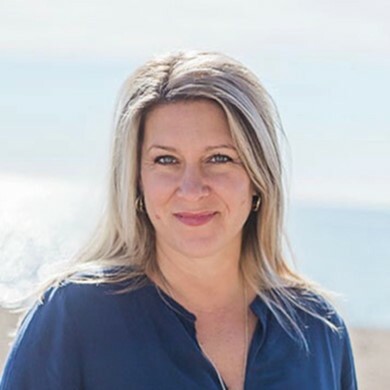 Leanne is the creator of Bringing Faith Home speaking series, whose mission is to empower ordinary parents to lead extraordinary families. Leanne and her husband James live in Toronto, Canada with their four children Hannah, Caleb, Ella and Seth.